SUMMARY: Wren can do things that other people can only dream of. Make it snow on a clear, crisp day. Fly through an abandoned tunnel. Bring a paper bird to life. I have to admit, this one let me down in some ways. A little too focused on the romance, this one didn’t have quite the same emotional pull as Cold Kiss. Still, I enjoyed seeing more of Wren, and appreciate the new twists thrown into this one. I like Wren. I think she’s a great character, and I feel for her with her struggles over her magic. Taught to hide it, and scared in some ways to use it, she is also curious and wanting to know more. Wren is the right mix of obedient and defiant, and while I felt like the changes she went through in Cold Kiss didn’t necessarily transfer to this one, it was also great to see her more into things now that she’s put Danny to rest, both figuratively and literally. She just has something about her that makes me want to side with her and root for her, and her development in this book takes some big strides. One complaint I do have about this book is how much I felt like the main idea was to just find ways to keep Wren and Gabriel apart. From little arguments to new friends, the problems that arose between these two felt too convenient and even contrived. Though I want to say I love these two together, in some ways, honestly, I kind of don’t, at least not after this installment. Gabriel is too protective, too sure that what he thinks is right, and that’s where I find fault. Wren is understandably torn between what she wants, and making things nice with him again, and I admit, I didn’t always get why Gabriel was being stubborn. The focus on their relationship, in the face of everything else, didn’t sit quite right with me. Apart from that, however, I enjoyed the new things Garvey has thrown into this one. 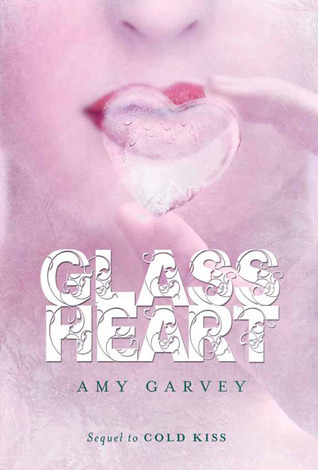 Letting both Wren and readers find out more not only about her magic, but the bigger world of magic, and taking some dark turns as well, Glass Heart pulls in some good elements. Giving more substance behind the notion of her magic being dangerous, and having some pretty wrenching scenes, this one takes some known elements and blends to something new. With the same quietly engaging writing as before, and some great descriptions, Glass Heart is a good, quick read.